The latest report on Ilayathalapathy Vijay’s 59th film is that National Award winner Uthara Unnikrishnan has been made to sing a song for the movie. Uthara, the 10 year old daughter of playback singer Unnikrishnan, became the youngest to bag a National Award for her rendition in the movie Saivam for the song ‘Azhagu’. Music director GV Prakash Kumar who presented Uthara with a dream debut has once again called upon her to lend her voice in Vijay’s upcoming movie being directed by Atlee. After recording the song, the cute looking singer addressed the media and revealed that she is a huge fan of Vijay and that the song she has sung for Vijay 59 is a peppy number. With the cast and crew already decided for Vijay’s upcoming film, all that is left now is to Vijay join the sets of Vijay 59 next month after completing his current project Puli. 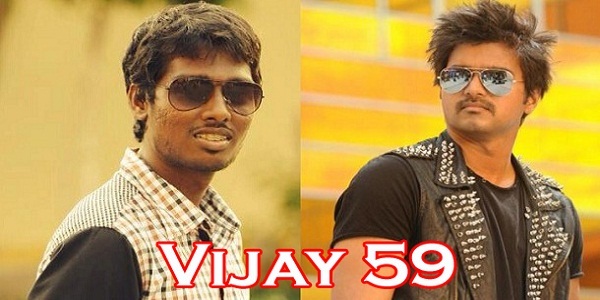 Vijay 59 is said to be a modernized flick set in the backdrops of Chennai and China. Atlee, who is just a film old as a director will be looking to make his good start count by delivering yet another hit.